Our team of professionals is here to make the experience of selecting your perfect bridal gown a memory you’ll treasure for a lifetime. We have the largest selection of bridal gowns in the region, carrying a selection of top bridal designers in a number of sizes, including plus size and petite. Gowns may be purchased directly from our inventory or can be special ordered if a different size or color is desired. Once you’ve selected your perfect wedding dress from The Henry’s, you’ll have access to exclusive perks only available to our bridal clients. We’ll even store your wedding dress safely in our shop until the days leading up to your wedding. Purchase a non-sale bridal gown and you’ll receive 10% off your bridesmaids dresses, dresses for moms, tuxedo and suits rentals. 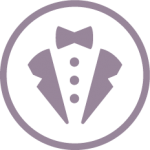 When your wedding party rents five tuxedos, the sixth is on us! That’s right, rent five and get one free. 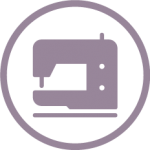 With over 30 years of experience, our customers have exclusive access to The Henry’s on-site seamstress, Lai’s Alterations. On a budget? We only require 25% down towards any in-stock dress, and 50% down towards any special order. As always, our financing has 0% interest. 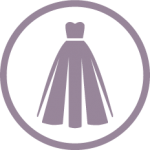 Preserve your dress with the Wedding Gown Preservation Company. Bring your gown, veil, and one other accessory to The Henry’s, and we’ll package and ship your gown to the Wedding Gown Preservation Company on your behalf. Once it’s been cleaned and preserved, they’ll ship it to you directly. Learn more about preserving your gown with The Henry’s.